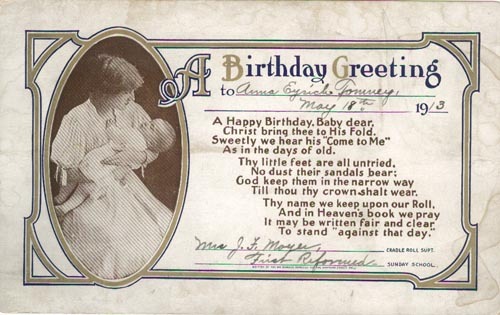 A Birthday Greeting to Anna Eyrich Tomney, May 18th, 1913, First Reformed Sunday School. Are you looking for TOMNEY ancestors? If so, we suggest posting a query to our Community Message Board to get assistance from other researchers.